Psilocybe cyanescens belongs to many phylogenetic categories, with a specific trait or purpose dignifying why this species is assigned to each specific group, for which greater detail will be explained for each corresponding category. It is important to note that each trait becomes significantly more specific, as the traits that make up each respective category become more specific. The evolutionary traits that make up this species, with its relation to other organisms can be explained here. The domain Eukarya is made up of eukaryotic organisms, which are mainly multicellular organisms that have cells enclosed in membrane-bound organelles. However, there are some single celled organisms classified as eukaryote as well. Typically, eukaryotic organisms will also have advanced genetic material, such as multiple strands of DNA to encode for specific traits, which will also undergo evolutionary changes. This broad category also consists of protists, animals, and plants! Check out the web pages made by my peers in Organismal Biology on other unique Eukaryotic organisms. The page by Torin Boernke on Eciton hamatum (Army Ants), is very interesting, as is the page by Danielle Cook on Narcissus pseudonarcissus (Daffodil). All of these organisms are Eukaryotic, and possess the aforementioned features. Lastly, check out the page by Michael Gyrofi if you want to learn about the Lion's Mane Jellyfish, Cyanea capillata, an amazing marine organism! 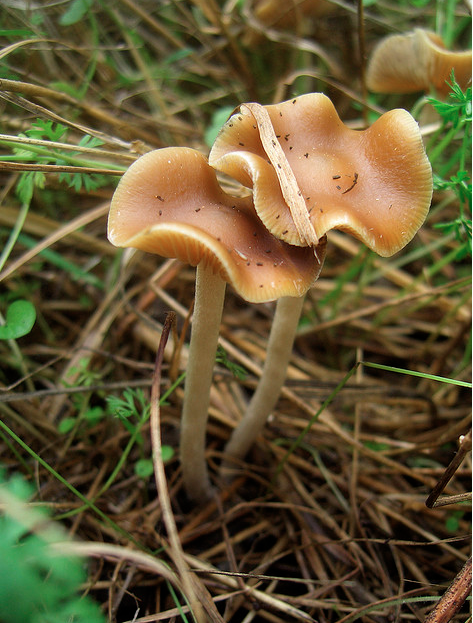 Continue reading below to see how P. Cyanescens is further broken down in its phylogeny. The super-group Opisthokonta is composed of a broad group of eukaryotes, which encompasses the animal kingdom, along with other eukaryotic microorganisms, as you can see further down on the webpage. The common characteristic that all opisthokonts have is that they possess flagellate cells, which are used to propel the organism. However, this super-group is unique because the flagella is posterior, which differentiates from all other groupings that possess anterior flagellum. The kingdom Fungi is where the major distinctions occur that separate animals, plants, and protists. The most unique characteristic of all fungi is that their cell walls are composed of chitin, which is a stark contrast from plants where the cell walls are composed of cellulose. Fungi are very resilient, and can survive in almost any environment. Therefore, no matter where you are in the world, there is almost always a fungus with you too. Fungi are also more closely related to animals than to plants, based on DNA analysis of their taxonomy. If you want to see more unique fungi, check out the web page by Alex Johnson, on Amanita phyalloids (Death Cap) and the web page by Willa Hammet-Hayes on Gyromitra esculenta (False Morel). 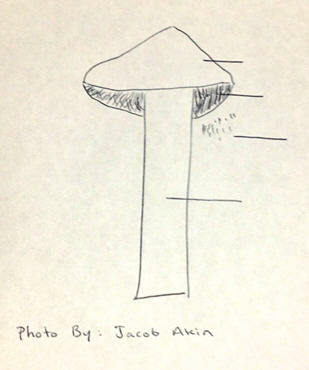 Lastly, the webpage by Tom Duemke on Conocybe filaris (Lawn Mushroom) and the webpage by Matt Birschbach on Amanita bisporigera (Destroying Angel) should provide interesting information on the kingdom fungi. In conclusion, the kingdom fungi can be divided into seven phyla, which further differentiates between the morphological and physiological function of various species within the kingdom fungi. The phylum basidiomycota is one of the largest phyla within the kingdom Fungi, and represents the majority of traditional mushroom shaped fungal species. The main characteristic of basidiomycota is that it has externally born spores on a club-shaped structure, known as a basidium (hence the name of the phylum). The spores that are born on the basidium are sexual spores, as it is rare but not impossible for asexual spores to be reproduced. Another unique fungi in the phylum Basidiomycota is Schizophyllum commune, a split gilled fungus. The spores for basidium are found in convoluted areas in order to maximize surface area to maximize spore production, which creates a large number of offspring. The class Agaricomycetes is a less diverse group of basidiospores, however every member of this group can vary in size exponentially, as basidiocarps can range greatly in size. This example of diversity is also evidenced with some members of agaricomyctes that take up an area of up to thirty-five acres, and are older than one thousand years old. Many members of this class produce fruiting bodies, however not all of the members do. Also, a majority of the members are terrestrial bound, but there also are some members that dwell in aquatic environments. As the phylogenetic properties become more specific, there is less diversity between the respective groupings of traits. The order Agaricales is best known for the presence of gills under the cap (top component that connects to the stem) of a mushroom. The majority of gilled mushrooms are found on land, with the exception of one species that has been discovered with fruiting bodies underwater. Fruiting bodies are the main method of dispersal for reproduction practices, with spores being released from the gills of the cap of the mushroom, after hyphae develops in the proper development allowing for adequate growth to occur. The main method of nutrient absorption occurs through the presence of Also, agarics are found almost everywhere, and are very adaptable to many environments, thus demonstrating their presence almost everywhere on earth. The family Strophariaceae is a part of the order Agaricales, in which there is still moderate variation between various species members. The spores that are released are similar in structure however, as they are released through an apical germ pore, which is a small outlet that permits the spores to be freed into the external environment from the gills. Also, all of the various species within the strophariaceae family survive on decomposing material. 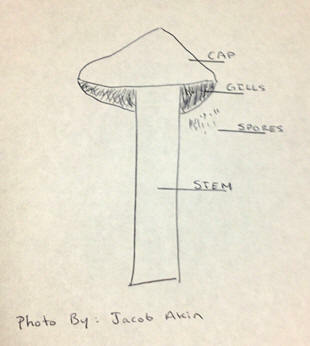 Check out the illustration below and to the left to see if you can identify the various components of the mushroom in the diagram, in particular look for the mushroom cap, stem, gills, and spores releasing into the external environment. If you need help that is okay, just look at the illustration with labels to the right. If you are able to identify the major components, then you are already able to understand the basic components of the life cycle of mushrooms! Click here to see a complete explanation on the life cycle of P. Cyanescens. The genus Psilocybe refers to the grouping of small sized mushrooms, which all contain psychoactive compounds called psilocin and psilocybin. These compounds are responsible for the hallucinogenic properties of many of the mushrooms contained in this genus. 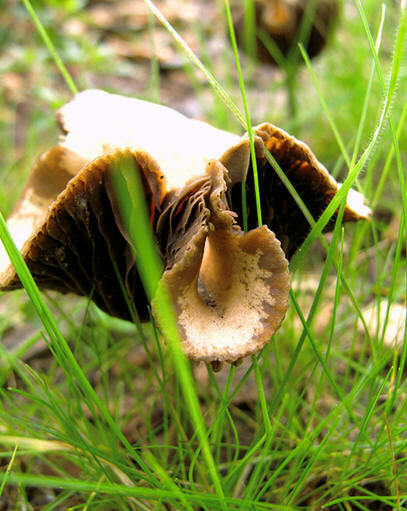 The word "Psilocybe" is of Greek origin, and refers to the mushroom cap's loose skin covering. Although Psilocybe can be found all over the world, they are a small sized mushroom, and can be distinguished for their ability to turn blue when handled, which actually is a bruise forming on the stem of the mushroom. If you want to learn more about the genus Psilocybe, check out the way page by Luke Bielmeiser on Psilocybe cubesesis, another amazing fungus! There are a large number of mushrooms in the genus Psilocybe, all differentiated based on molecular differences in morphology. psychoactive compounds found in its respective genus.Also, the population of P. cyanescens is becoming spread with increasing prevalence across the world, mainly due to mulch being used in undeveloped areas that contained the mycelium, thus allowing for fruiting bodies to grow, and in turn releasing spores into the new environment which only further increases the population. P. cyanescens fruiting bodies mature in the fall when the temperature begins to steadily decrease, and large colonies are not uncommon to discover in California and dispersed throughout Europe. Also, it is important to note that because this species of mushroom contains psychoactive compounds, it has become increasingly popular for recreational drug users to cultivate P. cyanescens spores. Another organisms that is popular to cultivate in the United States is Cannabis sativa and Cannabis indica, which is marijuana. For more information on that species see the webpage by Spencer Williams on Cannabis sativa x indica. As the spores develop mycelium, a proper substrate and growing environment are incorporated in the process, in turn producing fruiting bodies, which can be harvested, dried, and consumed. However this process of cultivating genus Psilocybe mushrooms is illegal in the United States, and is strongly discouraged for lawful reasons. If you are interested in the phylogeny of the organism, as discussed above, continue to the habitat page, where you can learn more about this intriguing organism, including its interactions with other organisms. If you would like to go back a page, click on the home link.